No it isn't, Grue. We literally do not know enough about what twilight's ascension means - we can assume all we want, but it's still thoroughly in the realm of fanon. finally my ponysona has company. The potential storyline of a little girl's cartoon sure keeps me up at night. Grue, stop baiting people. I'm sick of these turning into huge arguments. Kraps, cool it. You don't need to get angry over Internet comments. It's the only cracked one because the Apple family can't afford to repair it. Tank's isnt dead, he just doesnt want to move. 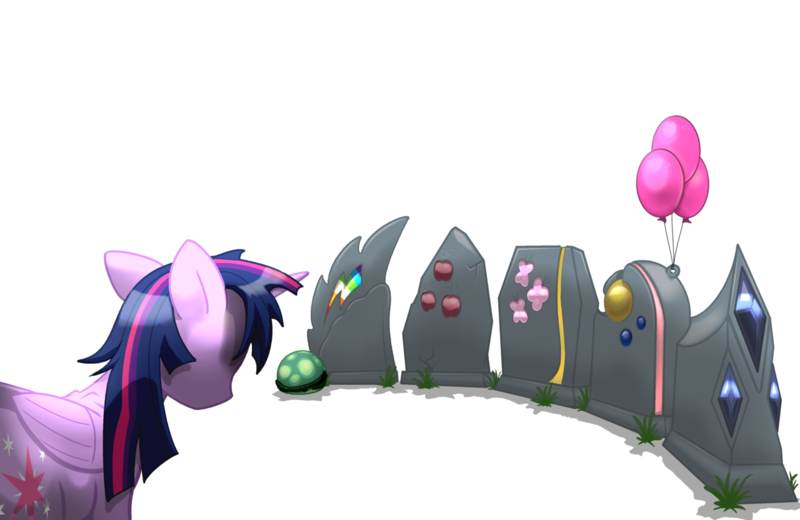 Applejack's tombstone, marked with three butts. This clashes with my headcanon of dal's fanfics!!! !